Northeast Florida Internal Medicine is the premiere outpatient internal medicine practice in the region. Created by Dr. Elyssa Blissenbach over 15 years ago, NEFIM has consistently remained committed to the highest quality of care and acquiring the best technology as the practice of medicine has changed. NEFIM is the only practice in the region that has true one stop capabilities for all your medical needs, from routine preventive care to advanced management of complex disease. 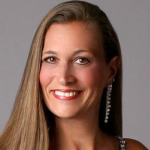 Dr. Elyssa Blissenbach is passionate about her patients and providing cutting edge care. As the only board certified internist and obesity medicine physician in the region, Dr. Blissenbach takes care of her patients with total commitment to solving the most complex of medical problems. What distinguishes Dr. Blissenbach, however, is her genuine compassion and as our patients point out, the feeling of being a part of the NEFIM family. Dr. Blissenbach expertly treats each of her patients with the highest quality supported by the best technology, and always with utmost respect and compassion. While patients seek her out for her medical expertise, they remain in her practice for her kindness. Although expert in general internal medicine, Dr. Blissenbach is particularly interested in obesity medicine, lyme disease, metabolic disease and osteoporosis. Sought as an expert in the most challenging and complex cases, come see Dr. Blissenbach and join the NEFIM family of patients. Dr. Elyssa Blissenbach is the sole Board Certified doctor specializing in Internal and Obesity Medicine in Jacksonville. She created the Northeast Florida Internal Medicine practice with a focus on giving the highest quality of care focusing on the areas of internal and obesity medicine. As the only board certified doctor in Internal and Obesity medicine in Jacksonville, she is the expert in the region. Sought as an expert in the most challenging and complex cases, she is truly the best in the business. Schedule an appointment with Dr. Blissenbach, and feel secure knowing your health is her top priority. Kristen has been in the medical field since graduating from Fort Hays State University in Hays, KS in 1997 with a BS in nursing. She started her nursing career in medical oncology at Arlington Hospital in Arlington, VA but transitioned to emergency nursing in 2000. Marianne has been a nurse for over 30 years. She graduated with a BSN from Adelphi University, in New York, after which she worked as a staff nurse in intensive care and emergency departments in New York, New Hampshire, and Florida. Marianne returned to school, earning a Masters degree and ultimately a Doctor of Nursing Practice from the University of North Florida. She has been practicing as an advanced practice registered nurse since 1996, working in child, adolescent, and adult psychiatry. 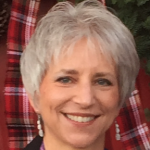 Marianne has also spent time living and working in Guatemala, resulting in a fluency with the Spanish language and an enhanced cultural perspective. Marianne’s unique experience and education have sparked an interest in the relationship between physical and mental health. 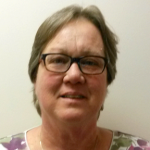 Kristine has been a medical assistant for 11 years and has worked at NEFIM for 6 years. As a medical assistant, Kristine takes a caring and supportive approach when drawing labs and preparing patients for their visit. 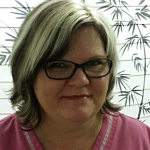 Kristine’s ability to relate to patient’s needs ensures that their visit is a positive experience. 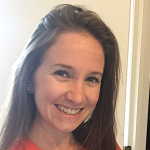 Lauren has been a part of Northeast Florida Internal Medicine for 5 years. As a Medical Assistant and Licensed BMO she provides quality care for our patients by performing routine bone density exams and preparing patients for the providers. With her attention to detail and extensive knowledge in bone health and internal medicine she is able to assist the providers with the care of our patients. 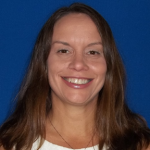 Dana has been with Northeast Florida Internal Medicine for 9+ years. Her role in this office has changed many times but her commitment to patient care and satisfaction never has. As the patient care coordinator she handles delicate family issues and offers guidance and support to our elderly patients. The goal with her position is to make our patients feel like family while maintaining a professional atmosphere. 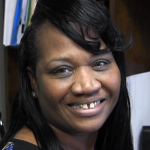 Casandra has been in the medical billing field for 22 years. She is a billing expert, medical biller and revenue cycle specialist who thrives on analyzing and increasing revenue for the practice. She takes control of the practice revenue and generating income such a way that inspires, impresses, and at times, re-builds confidence in the physician’s decision to make the huge commitment to their medical field. Casandra is very diligent in auditing claims, submitting claims and performing follow-up functions till everything is paid in full. As a medical biller Casandra has one mission, get physicians the full reimbursement that is due. Brittany has been a member of this staff for 7 years. 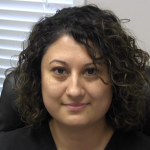 She is the face you will see at check out and she handles all of our referrals to specialists. Her goal is to simplify patient’s medical care. In her time here, she has been trained in several different positions. This better enables her to assist patients with any issue they may have beyond the scope of referrals. She enjoys working for this family-oriented company. Pam has been the front office check-in specialist for 2 years. She looks forward to greeting our patients when they visit our office. The patients are the top priority and she strives to make them feel welcome, make them smile, and let them know the office staff truly cares. 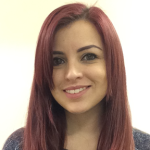 Alicia joined the practice in June, 2016. 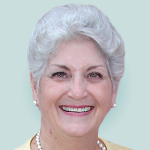 She is a retired CPA with extensive financial experience. As Practice Administrator, she is the chief administrative officer of the medical practice. Primary responsibilities include software, human resources, financial reporting and accounts payable, oversight of payroll and coordination of 3rd party vendors. The prevention and treatment of illnesses and patients is our primary goal here at Northeast Florida Internal Medicine. The nature of our treatment is a secondary goal that drives our success, as we focus on treating our patients in a uniquely personalized manner. In addition to coordinating care for our patients with other medical specialists, we treat common illnesses as well as chronic conditions. A pre-operative clearance is required to assess your health before many surgeries. This process usually includes an office visit designed to address any medical issues that may need to be managed prior to the surgery as well those that may exist during the recovery period following the surgery. It also gives you a chance to learn about life after the surgery. Being one step ahead is vital to providing the highest quality care to our patients and their well-being. The best way to accomplish this is a proactive preventive health care program. By establishing patient’s medical history, our providers work to customize a personal preventive health care treatment plan developed just for you. Annual physicals are one of the best prevention methods for serious disease or illness. Annual physicals provide us with the opportunity to identify or “catch” potential issues early on, rather than after they become apparent. This allows us to start treatment earlier in the process and may even result in preventing a particular condition altogether. Full laboratory testing is at the disposal of our patients, with the ease and peace of mind knowing they are not required to travel to separate laboratory facilities. We draw and/or gather all of the samples/specimens needed while you’re present in conduct the appropriate tests so we can provide you with a detailed analysis to discuss with one of our providers. Obesity is an issue that can cause life threatening illnesses. Numerous illnesses are caused by obesity, but can be treated with expert care. Our team of experts are highly experienced in the diagnosing and treatment of diabetes, HTN, heart disease, asthma, hypercholesterolemia, cancer and joint destruction. It is this training that allows our patients to get the safest and most effective treatment. "At NEFIM we take on medical issues with complete dedication and commitment to meeting every patient’s expectations"